Since I started reading eBooks in 2008, I've read about 800 of them on a tiny (3-1/2") iPod touch. I had quite a few digital reading apps but have bought Kindle books exclusively since 2009. Being of a practical nature I appreciated the versatility of my little iPod, the fact that I already had it (thanks to my sister, who gave it to me! ), and that it fit in my pocket. Inwardly, however, I dreamed of reading on a Kindle device someday. 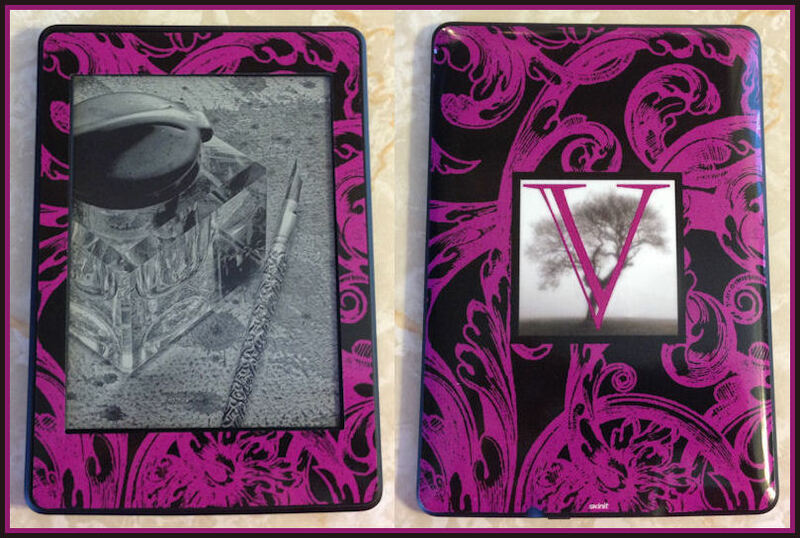 I kinda hoped I'd win one in one of the dozens of contests I'd entered, but dagnabit, I didn't! Then, last Wednesday after much internal debate and admittedly, some queasiness, I bought a Kindle Paperwhite for myself from my very own wish list! After it arrived Thursday I excitedly began the process to truly make it mine: registering it, naming it, adding a personal description, changing my Kindle email address and downloading my Kindle books into the Collections that "magically" showed up from the Cloud! 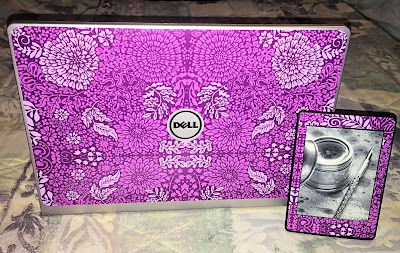 I went a step further in personalizing it when I ordered a Skinit to match the one on my laptop computer. I justified that expense by not having to purchase a case. I have my daughter to thank for letting me have her old case. The one I bought to protect the Kindle I got her for her birthday last year. She got herself a Snoopy case for her birthday this year, and that Marware Jurni case I thought was the ideal Kindle case has been re-purposed for my Paperwhite. It really is ideal...for me, anyway. My new dream (e)Reader is housing my current Kindle collection of nearly 650 books and can hold up to 1,100, so I have a ways to go before I'll have to be selective. I've set it up to receive future Authorgraphs and have already sent all my current ones to it. I've wanted a Kindle for so many years and the Paperwhite is this voracious reader's dream come true. I hope I always maintain my sense of awe over the wonders of personal technology. I certainly appreciate my devices—my windows to the world, as I refer to them. Aren't they beautiful? 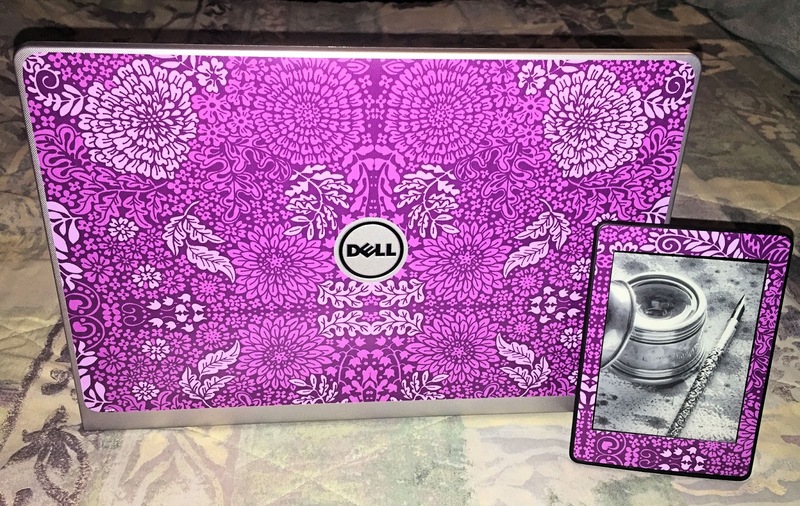 Purple Passion Skinit with my custom designed personal logo! 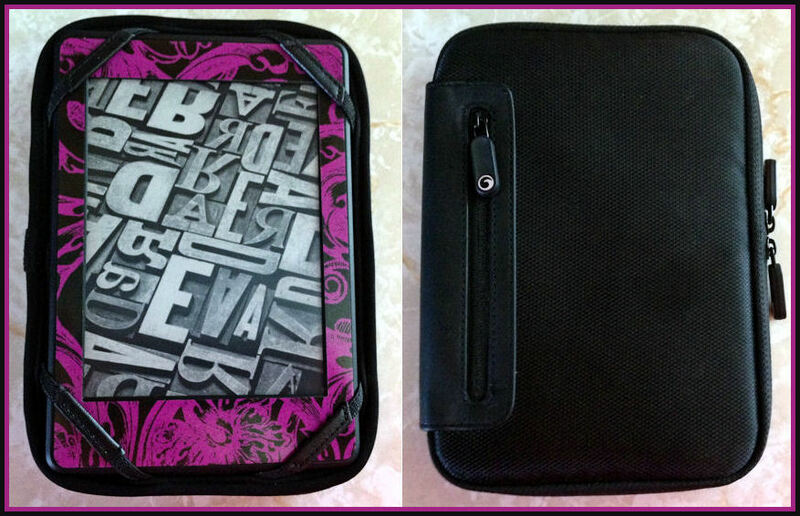 The black Marware Jurni case looks great with the Skinit! 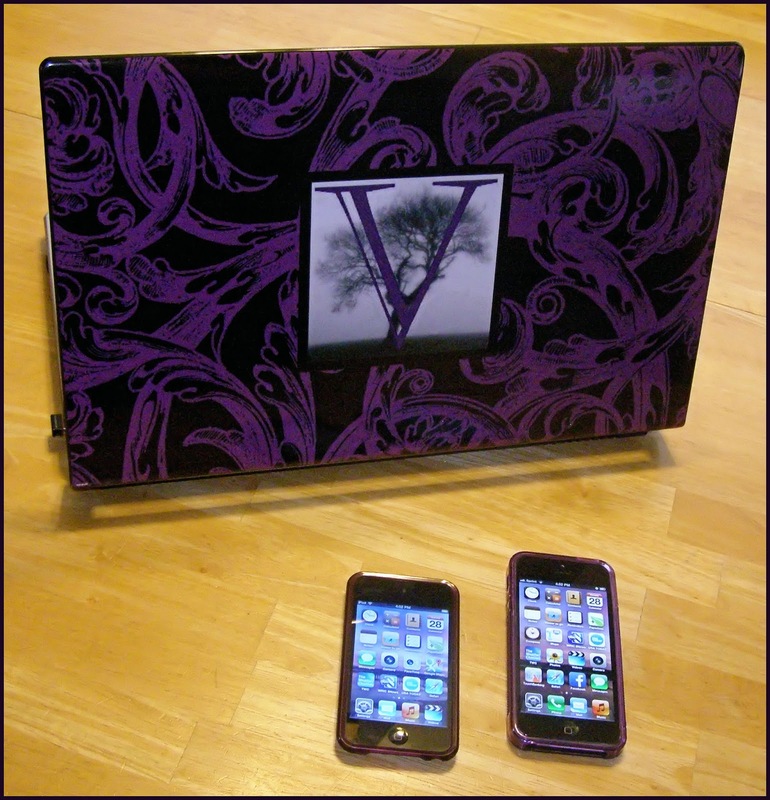 My Studio laptop, 4th gen iPod touch, and iPhone 5 all dressed up in purple! *Update: January 2016* New laptop. Same Kindle. New skins. Thanks, Santa! I still have the iPod touch, too. Photo taken with iPhone 6 Plus. w00t! 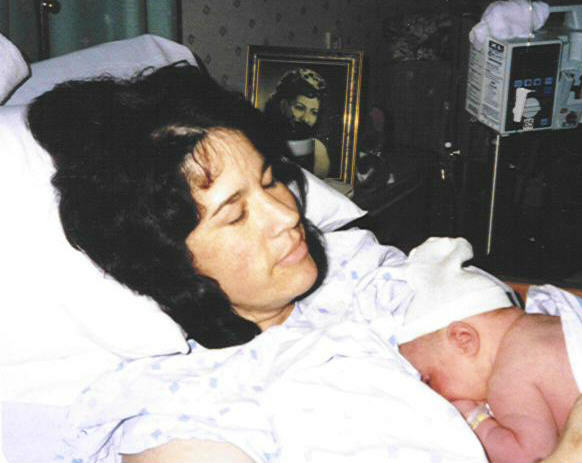 Sixteen years ago today at 10:18 a.m. my darling girl drew HER first breath and innumerable times since then she has taken MY breath away. Happy sixteenth birthday my sweet, compassionate, creative, brilliant, and beautiful girl! I love you! Technically, this was the second snow of the season; this one occurred magically overnight. Quietly. I heard nothing of its descent as I lay comfy and warm inside listening to my audiobook. Then, not-so-bright and early this morning, I spied the predawn blue-tinted winter wonderland of my front yard. It sparkled in the limited light and was downy soft—so very fluffy. At that point I was only mesmerized by the beauty of it. Too soon though, I had to consider the mechanics of clearing a path and a vehicle. Although I have been on the east coast for many years I will always have been from Southern California, where snow was a magical and mysterious thing which happened everywhere but there. The weather here is such that I can wear sandals most of the time; snow boots are a necessity only every few years. The same goes for gloves. This morning, however, if I had had the appropriate attire, I would have gladly remained outside for much longer. Be warm and safe where you are. I plan to cuddle up with my Corgi, a cup of coffee, and a good book! It was less than two weeks ago that the temps in our area were in the high 70's. 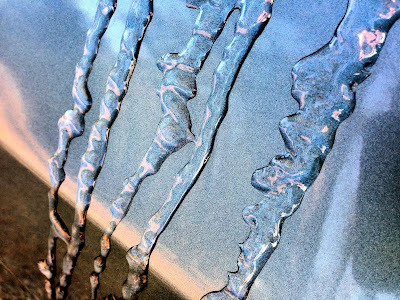 Mid-afternoon today it's reached a high of 26, which made for the icy photo op above. Just last Saturday it was 59 degrees and sunny which was ideal sightseeing weather for me. My daughter and I drove over the Rappahannock River to the Northern Neck where we visited George Washington Birthplace National Monument. This was our fourth visit to this lovely historic park. We strolled the grounds for awhile, each of us taking photos with our iPhones, before settling at a bench situated next to Pope's Creek for our picnic lunch. It couldn't have been a more perfect day!